Velcome! Ees me, Melania Trump. 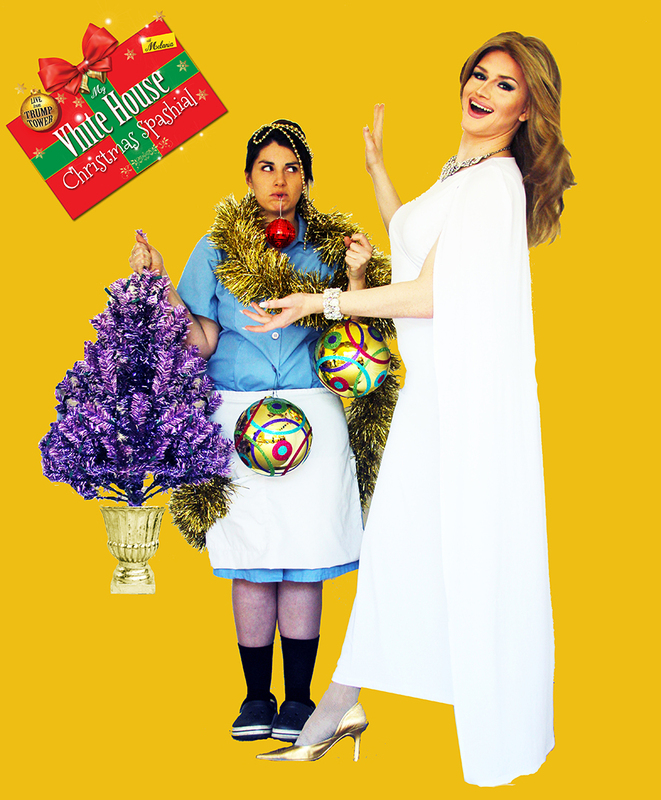 I host very first MY VHITE HOUSE* CHRISTMAS SPASHIAL VITH MELANIA (*Live From Trump Tower). Ees good time to learn holiday vith Prasident Hasbund, our family, and new friend Steve Bannon and Mike Pence. I also talk about journey from vorld famous Slovenia supermodel from Slovenia to First Lady of Great-Again America. 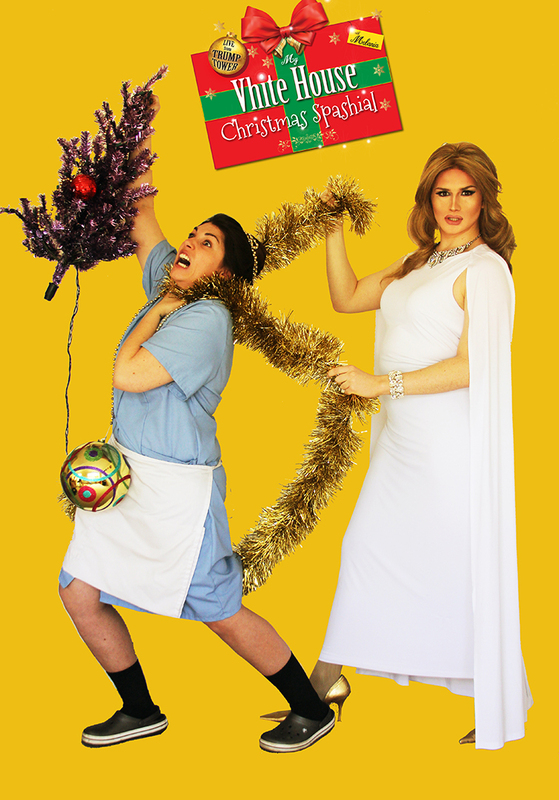 Join me and Russian maid Ludmilla for exclusive look into glamour and Christmas! 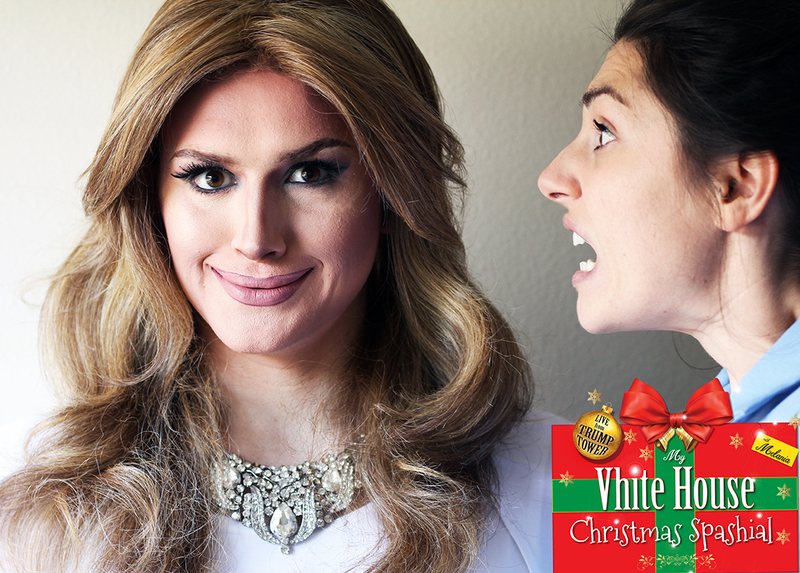 Tickets for My Vhite House Christmas Spashial vith Melania are no longer available. 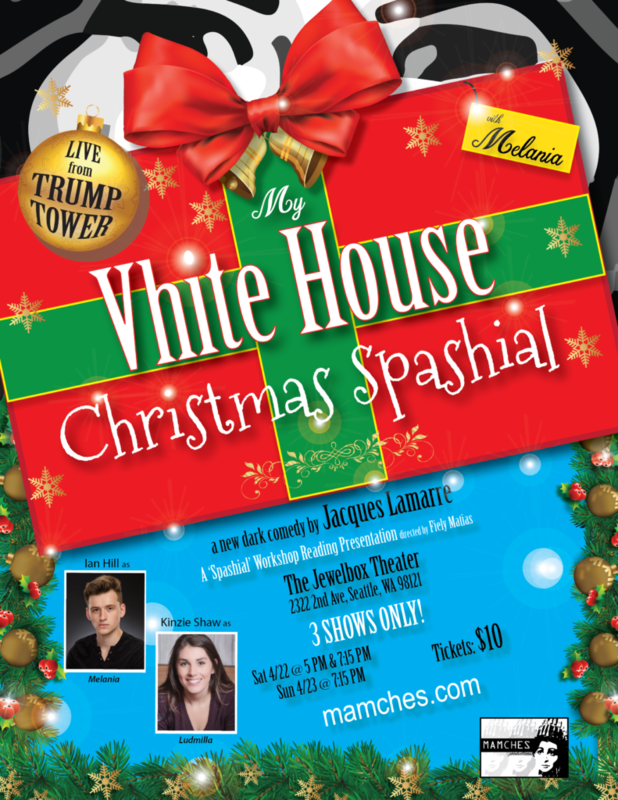 Spend the evening with us at Seattle’s luxurious Jewelbox Theatre (drinks & food during show) for a workshop reading of Jacques Lamarre’s hilarious new comedy “MY VHITE HOUSE* CHRISTMAS SPASHIAL with Melania, *LIVE FROM TRUMP TOWER”, directed by Fiely Matias (from off-Broadway’s “Disenchanted!”), featuring two talented NW actors bringing Melania and Ludmilla to life. Tickets are $10 General Admission or $60 for a VIP Reserved Premium Gold Mar-A-Lago Double Medallion Insiders Table (6 plush seats for 6 posh posteriors plus your own private table). It’s a little unorthodox in the Trump household, but MAMCHES is actually paying the talent with your ticket purchases! We will be selling out, so get your tickets early. Comes all the way from Houston, Texas. Ian recently made the move to the Pacific Northwest and is loving it. 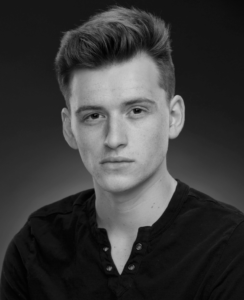 After receiving his BFA in Theatre Studies with an emphasis on directing and acting from Southern Methodist University, Ian moved home to Houston where he worked with companies like the Texas Repertory Theatre and the Houston Grand Opera. Ian is thrilled to be a part of this production, which marks the first theatrical project he’s undertaken since moving to Seattle. Ian also moonlights as a club kid/drag queen, and will be appearing as a featured performer at the Austin International Drag Festival later this year. You can catch his drag persona Irene Dubois at Kremwerk every second Saturday of the month. Born in Seattle, but raised in Tucson, AZ. (Please, do not hold this against her). 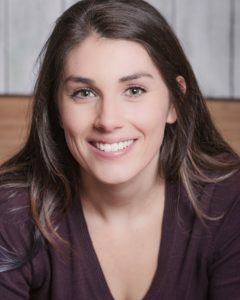 She is a company member at Unexpected Productions and can be seen most weekends performing at The Market Theater. She has worked and performed with The Second City Hollywood, The Blue Door Theater, Jet City Improv, and The Pocket Theater. Her greatest achievement is being one half of the duo, FEELINGS. FEELINGS is a queer intersectional feminist improv duo that has been featured in the Los Angeles Diversity in Comedy Festival, Bumbershoot, and festivals across the country. Who has two thumbs and hopes you enjoy the show? Kinzie does!